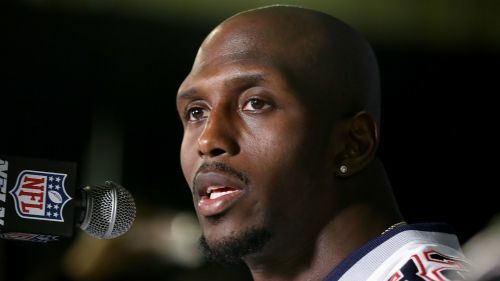 Devin McCourty has become the first New England player to publicly react to the criminal charges facing Patriots owner Robert Kraft, urging people to wait and see what happens before commenting further. Kraft was one of 25 men charged on Friday with soliciting another to commit prostitution after an investigation by police in Jupiter into the Orchids of Asia Day Spa. "When you see things come out like that, you really have to just let it play out," McCourty told NBC Sports. "See what it is, what it isn't, and go from there." An active arrest warrant has been issued for Kraft as he faces two misdemeanour charges. A spokesperson for the 77-year-old said: "We categorically deny that Mr. Kraft engaged in any illegal activity. Because it is a judicial matter, we will not be commenting further." McCourty has spent his entire nine NFL seasons with the Patriots and has developed a strong relationship with Kraft. "For me, RKK has been a great person to lean on as far as social justice stuff, a guy to lean on, a guy to talk to, always present in the locker room, always there to talk to guys," McCourty explained. "I've had the opportunity to build that kind of relationship with him. With what's transpired you really just have to let it play out and see what happens." Kraft could face a fine or other penalties from the NFL in connection with the case, as owners are subject to the league's personal conduct policy. The league issued a statement on Friday that read: "The NFL is aware of the ongoing law enforcement matter and will continue to monitor developments."